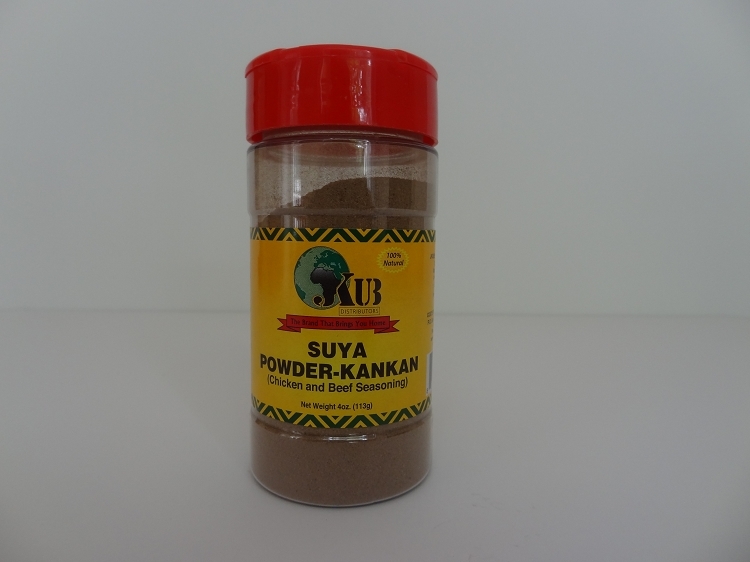 This Suya Powder Kankan is ideal for grilling, sprinkle a dash on beef (Suya), chicken, pork, fish and other meat of your liking before you grill it. It can be used as a dipping side for grilled meat of fish. Country Onion, Djansang Akpi, Pepper, Maggi Seasoning, Wede Aba. Net Weight: 4 oz ( 113 g ).